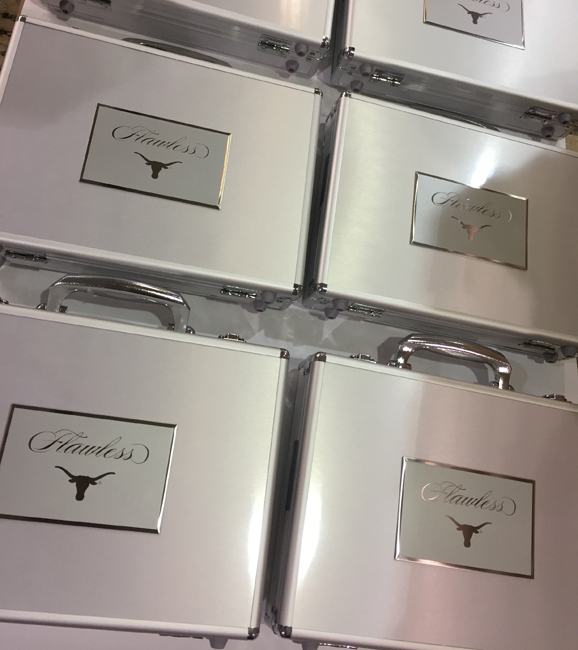 2017 Panini Flawless Collegiate Football arrives Wednesday, November 15th, with football's greatest from current and past stars from their NCAA days. 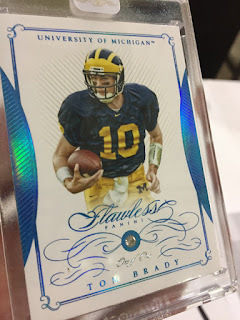 The format is ultra-premium, Panini America's very best with lots of on-card autographs, over-sized swatches. Each briefcase box has ten cards. At least six are signed with two more autographs and/or memorabilia cards. The final couple of cards are base cards or parallels that have gems embedded in them. 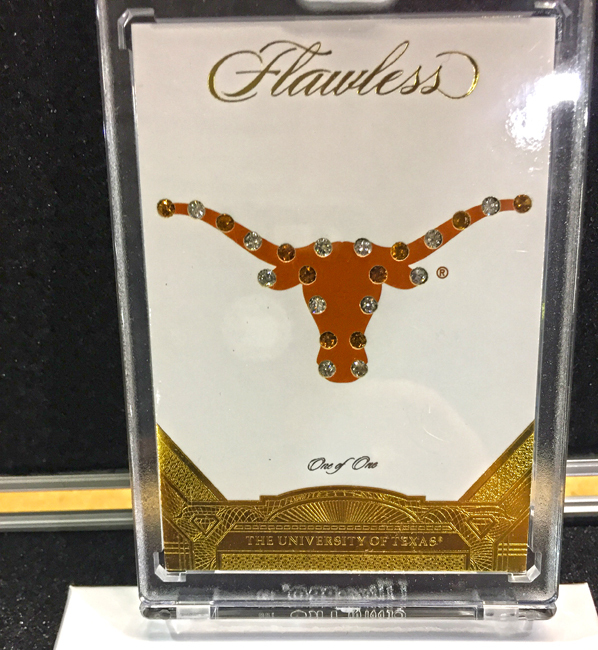 The overall look and feel of 2017 Panini Flawless Collegiate Football is much like the brand’s college basketball counterpart. It starts with the base set with cards numbered to 20 with a diamond. Parallels come with different gems and the colors to match them: Ruby (#d/15), Sapphire (#d/10), Emerald (#d/5) and one-of-one over-sized Diamonds. 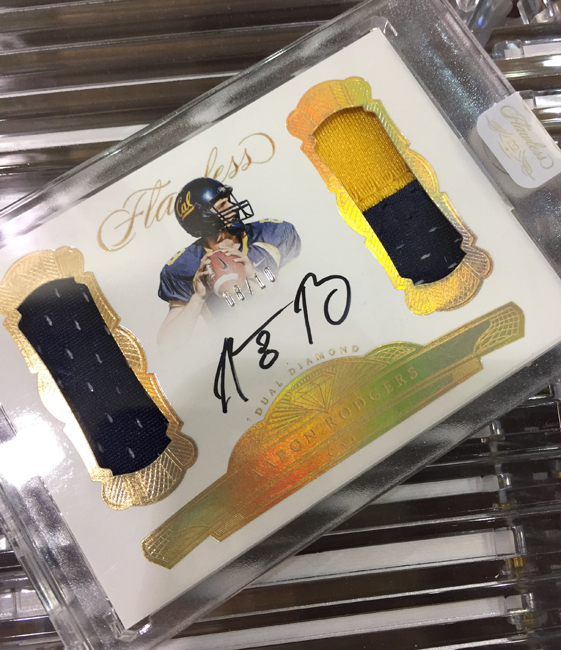 2017 Panini Flawless Collegiate Football has several autographed insert sets. 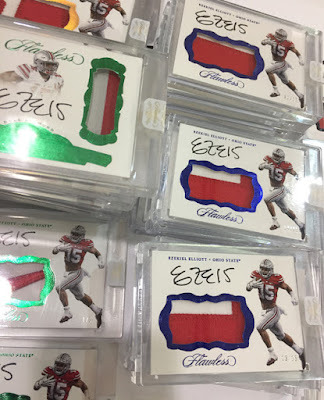 Premium Ink takes one of the more straightforward approaches but with a stronger checklist of college stars. Joe Namath, Peyton Manning, Emmitt Smith, Troy Aikman and Tim Tebow are among those on the checklist. Team Slogan Signatures has an inscription to go with the autograph. But rather than the usual stat or awards notation, it’s a school-centered line. All are numbered to 25 or less. 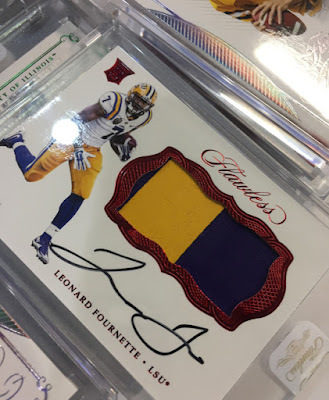 Rookie Patch Autographs have no more than 25 copies each. These have both jumbo swatches and on-card signatures. The checklist for these features 2017 draft picks including Deshaun Watson, Leonard Fournette, Kareem Hunt and Christian McCaffrey. Among the parallels are different types of patches like brand logos, conferences and bowl games. Patch Autographs are similar to the rookie version as far as concept and design goes. 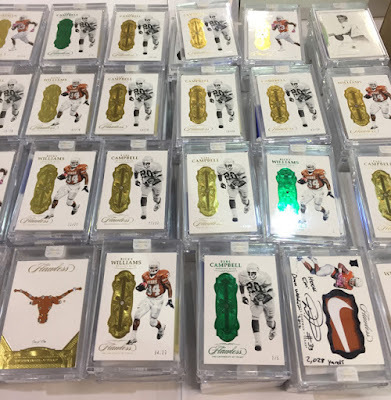 However, the players on these are veterans and stars from the past. 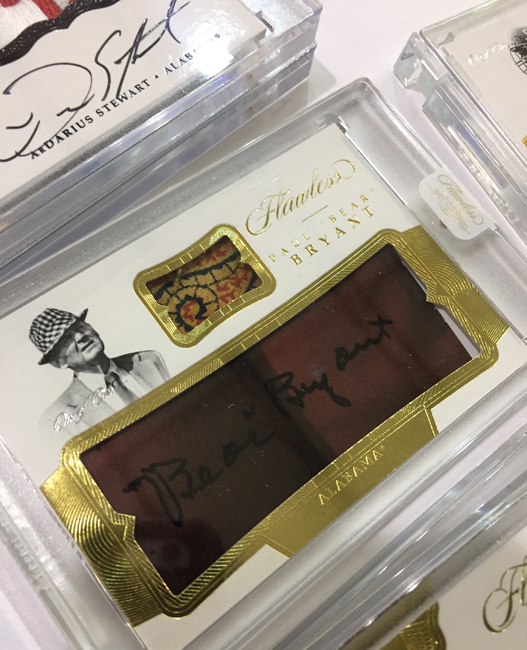 College teammates offer up their autographs in Flawless Dual Signatures. 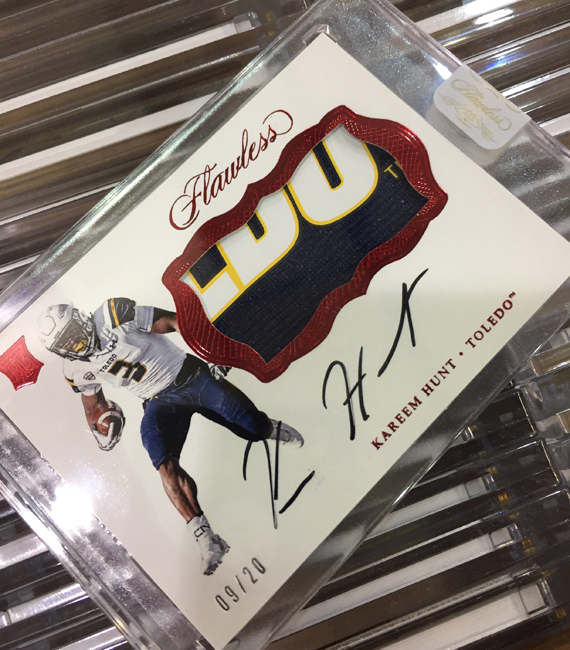 Not all of the inserts in 2017 Panini Flawless Collegiate Football have autographs or memorabilia. A small number of Flawless Team Gems cards take a school’s logo and recreate it with a number of gems. Each is a one-of-one. The University of Miami, Alabama, Ohio State, Stanford, Florida State, Michigan and USC are among the teams on the checklist.